Instagram Round Up and A ShopBop Sale! ~ Roses and Rain Boots . Instagram Round Up and A ShopBop Sale! YES, girl yes, my blog is doing SO well (thanks to you lovelies) I actually needed business cards. Woot, Woot, that's me enjoying my little two second victory jam I allow my students when they have a #girlboss or #bossstudent moment! Teach Like a Champion by best-selling author: Doug Lemov provides powerful techniques, that are specific and easy to implement, that assist any teacher in becoming a champion in the classroom. One of the strategies Doug suggests is a two-second victory dance. After some gradual release (I do, we do) the students are now able to complete the "you do" part and successfully and appropriately have a two-second dance party to celebrate any #bossstudent moments! I particularly love this approach because it allows students time to celebrate success without taking away valuable instruction time. I truly love my job. I chose this collage because it highlights my favorite 3 photos from Instagram. This full body was originally pictured from the clutch down, because I am too tall to fit in the "square" frame Instagram provides... total #tallgirlproblems. I also LOVE this shot of my sock-bun (thanks Hunnie for the great photo). I am a huge fan of throwing my hair into a sock-bun where running late or my blow-out isn't working. It can easily be dressed down or glammed up. I also cheat and picked up two donut holes from H&M to make the process easier. Want a sock-bun tutorial?! Leave a note in the comments section. Lastly, this bag shot has to be MY favorite. 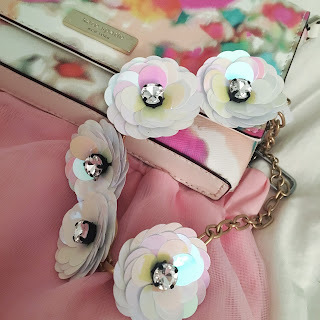 I am such a girlie-girl and love anything artsy and this shot totally captures my favorite parts of any outfit, the fabulous arm candy, sequins and statement bag, what's not to love?! What are your favorite Instagram photos?! Are we friends on Instagram? If not, head on over to the social icons in the sidebar or this link and hit follow, I'll follow you back! For the second part of today's post I have rounded up my 5 favorite items you need to take a look at because ShopBop.com is having a huge sale! Currently you can get 25% off at ShopBop with no minimum; this is HUGE because usually they require you to spend a certain $dollar amount but not on this sale. This is the perfect time to buy those expensive designer items you have been debating about. And hurry because this sale is only on until April 7th! This BAG is in my shopping cart. I. Am. Obsessed. I can't get over the color. It is amazing. I'm telling you, you NEED it, one word= obsessed. I will be having a summer essentials post coming out soon and I promise you this sundress will be on it. Since I only live a block away from the beach this is the perfect cover-up on my walk through town. It is definitely a statement piece. My favorite Hunter Boots are also on sale in this pretty periwinkle blue color. Lastly, these mirrored sunnies are all the rage this spring. And I'm loving this pair, similar to Jessica Alba's pictured above! This is a lovely roundup. Love the sock bun! That beach cover up is AMAZING and officially on my wishlist!!! So happy that you are part of our style collective community!! You have already blessed so many of us 💋 Can't wait until next week. 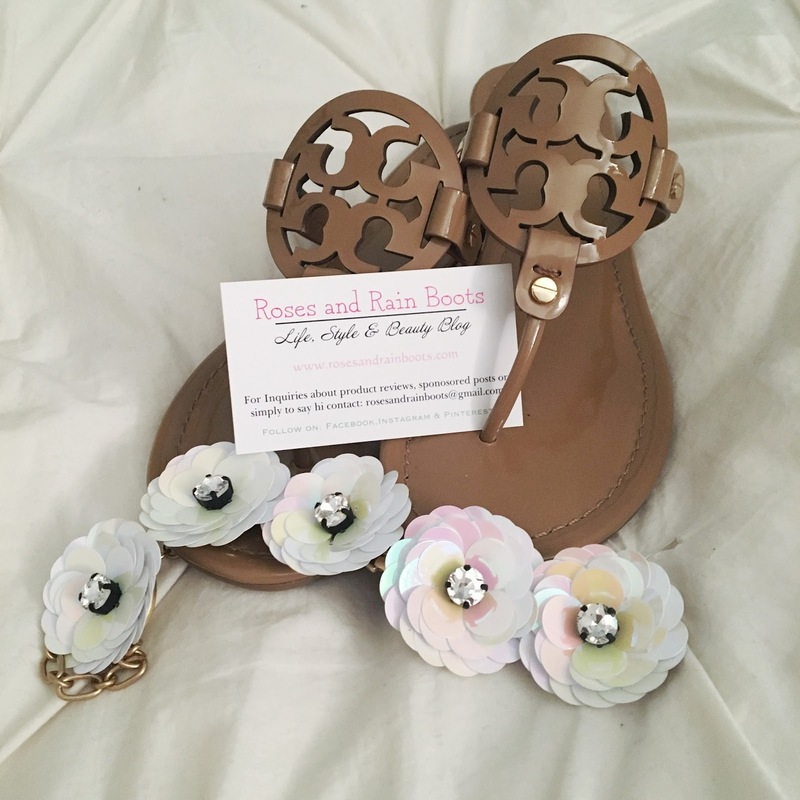 Loving all your details, especially those Miller sandals. They are by far my favorite pair :) awesome post. The Shopbop sale gets me every time, love your picks! That pink bag is awesome!